Microsoft has announced the release of Visual Studio LightSwitch (previously codenamed Kitty Hawk), the newest member of the Visual Studio product family. It will be available as part of Visual Studio Professional, Premium, and Ultimate. Microsoft says that LightSwitch is aimed at developers of all skill levels and organizational sizes who want to build business applications that target the desktop, cloud, and Web. Good News! Our Windows Server 2012 has supported the latest version of Visual Studio Lightswitch Hosting. Our ASP.NET hosting plans are Visual Studio LightSwitch compatible! Visual Studio LightSwitch Hosting makes it simple for developers of all skill levels to quickly create polished, user-friendly business applications, within an intuitive but powerful development environment. With the user interface design features and development tools in Visual Studio LightSwitch, developers can easily build a custom application that works and looks like an off-the-shelf solution. 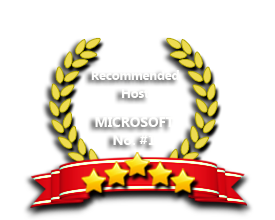 For fast, secure and reliable Visual Studio LightSwitch Hosting, look no further than ASPHostPortal.com for all your web hosting related needs. Ready to try out? Sign up for a web hosting account from ASPHostPortal.com and get going in minutes. Our Windows Cloud Hosting fully supports Visual Studio LightSwitch hosting. You are more than welcome to try our Free Windows Cloud Hosting before you decide to buy. You can get your Free Cloud Windows hosting account up and running within the next few minutes.